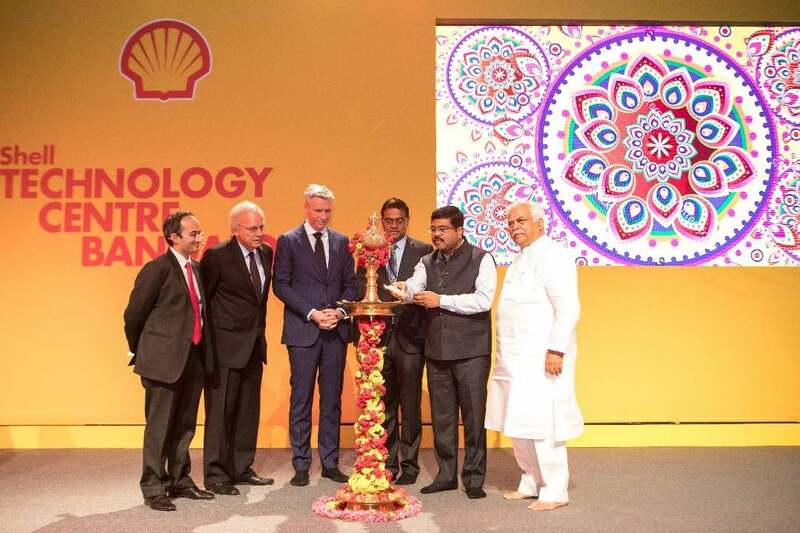 Netherlands-based Royal Dutch Shell Plc, commonly known as Shell, opened a new major technology hub in Bangalore - a 52 acre, custom built technology centre - that can house up to 1,500 experts, who would work collaboratively. This IH2 technology can be one of the game changers that can make my country a net exporter of energy. 1500 young scientists of Indian origin who will work at the Shell Technology Centre Bengaluru are India's contribution to meeting the world's energy requirement, he added. Located close to the city's international airport, the construction of this establishment began in 2015. With this technology centre, Shell India plans to bring its headcount in India to 6,000 by the end of 2017, Nitin Prasad, Chairman of Shell Companies in India said. The Bangalore Shell Technology Centre is one of the three main technology hubs in Shell’s global network of R&D centres, with the other two located in the Netherlands and the USA. The centre is also helping pioneer efforts - using its IH2 (waste to fuel) technology - to turn forestry, agricultural and municipal waste into transportation fuels, with a new demonstration plant being built at the site. Specialists at Shell Technology Centre Bangalore work closely with experts from external industrial partners, universities and institutes. The technology centre shall function as the Asia technology hub for the Shell group. To complement the centre’s opening and the global ‘Make the Future’ campaign, Shell brought the ‘‘#makethefutureAccelerator’ programme to India for the first time. The Indian technology centre comes at a time when global oil explorers and service companies have chopped jobs and stalled projects. In India, this news comes amidst the Goods and Services Tax (GST) scuffle.